G-SMATT’s innovative media glass allows you to turn your glass façade into a vast canvas. Imagine what you can do. The content is limited only by your imagination. The advent of glass facade construction has enabled the creation of beautiful architecture. Now bring that architecture alive with light and colour with G-SMATT media glass. Use this electronic, construction grade, laminated LED glass product for any glass facade project – without compromising on the aesthetic beauty of an architectural design. 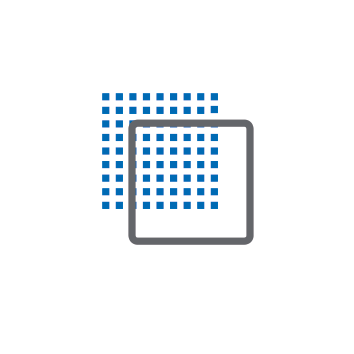 Create media screens from small to hundreds of meters squared. 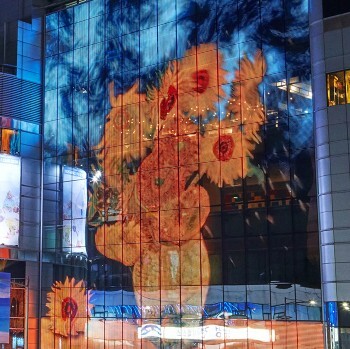 Use your G-SMATT media glass facade to display artwork, promote your brand, interact with the immediate community, and integrate with smart city infrastructure. Don't let your architecture just exist within your urban environment. Make it exciting, iconic, and relevant. Our LED glass technology is 99.7% transparent. We use patented micro LED technology in the construction of our laminated smart-glass products. This gives a media facade constructed of G-SMATT media glass an inherent advantage over mesh, strip, and bar media facades. Those systems obstruct vision and make the glass hard to clean. Even when the media facade is operating, the view through the glass is excellent. Less than 7.5% of the light from the LEDs reflect back through the glass. 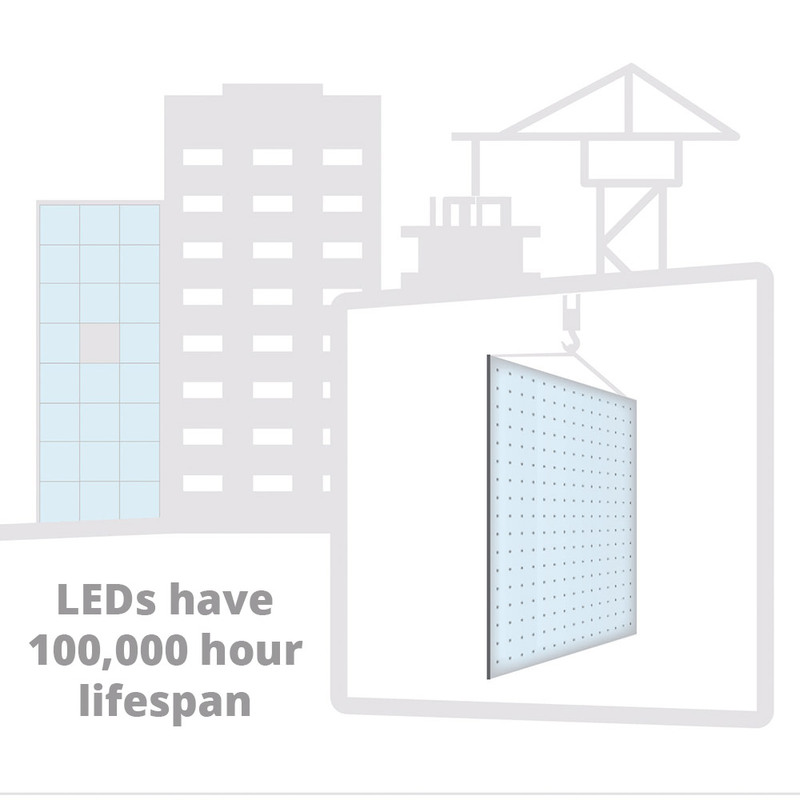 LEDs are rated at 100,000 hours of operation at full power and protected inside a laminated glass structure. This truly makes G-SMATT media glass an architectural grade material. You can design a building with a glass-media facade. Yet without compromising on aesthetic beauty by adding additional LED fittings to the outside of the structure. 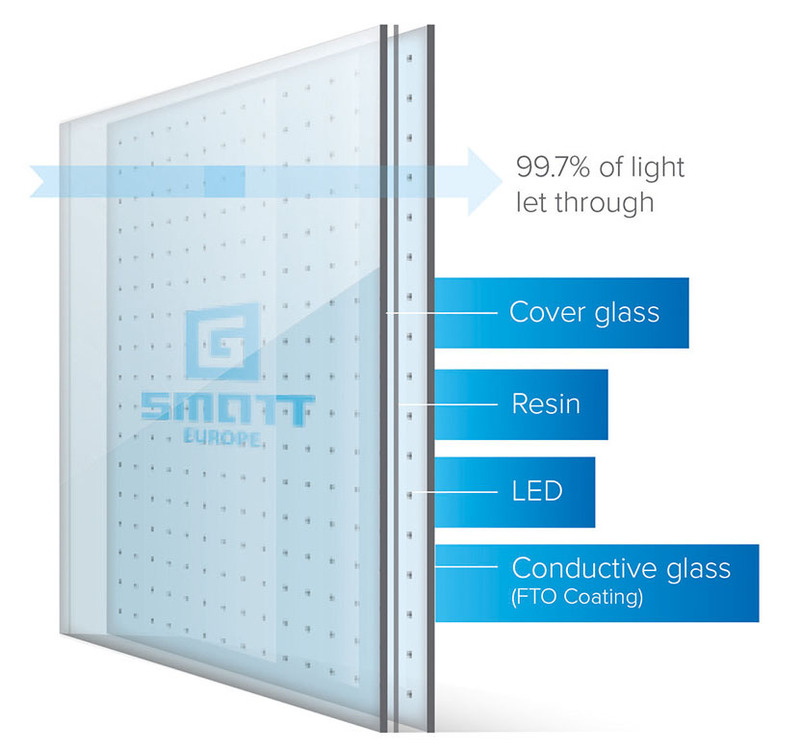 We can deliver G-SMATT media glass with tempered cover glass fittings and as part of an IGU, adding to both its toughness and insulating qualities. 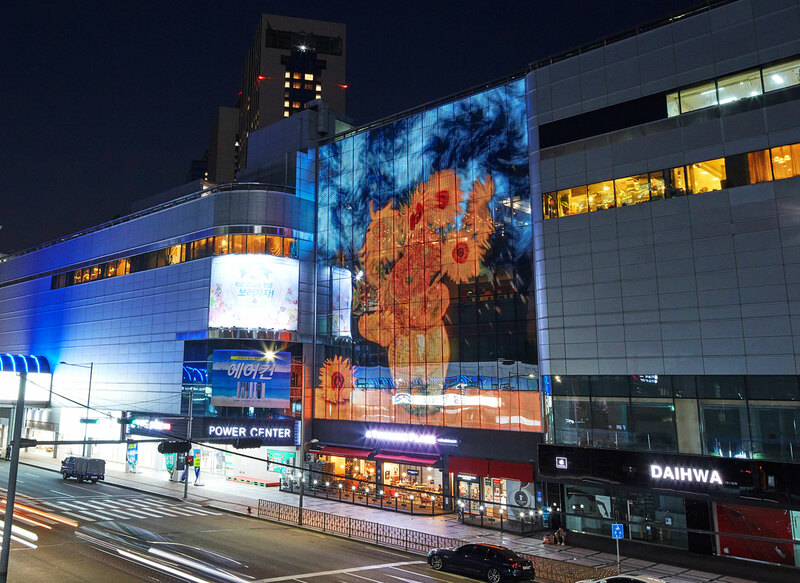 With G-SMATT media glass, you have an unparalleled level of media facade display capability. It’s your grand canvas on which you can paint. Project who you are and your values out into the community. 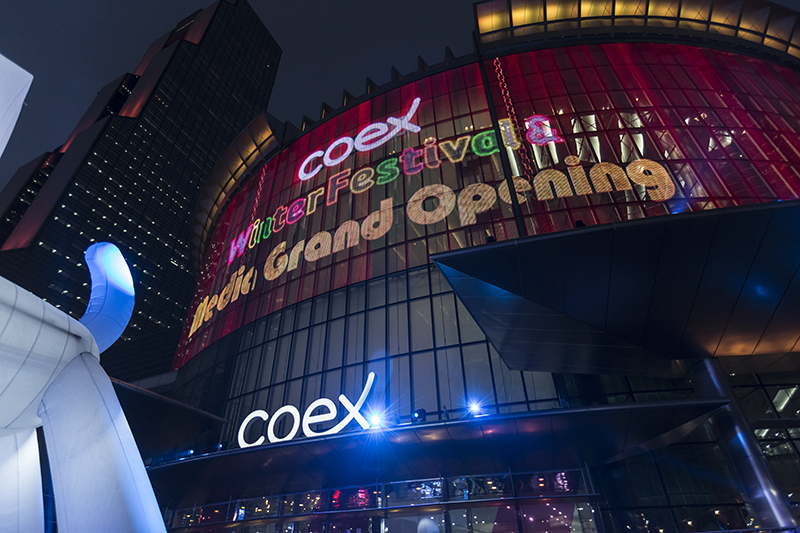 Display beautiful dynamic art, marking your building iconic and relevant. 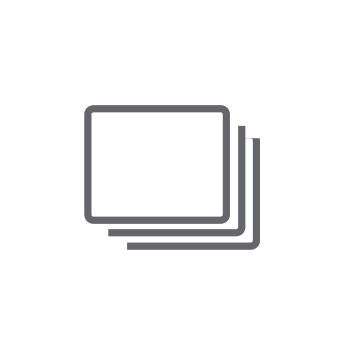 Deliver information to the geographical community and advertise on a vast scale. Your media facade can now become a revenue generator in a whole new way. 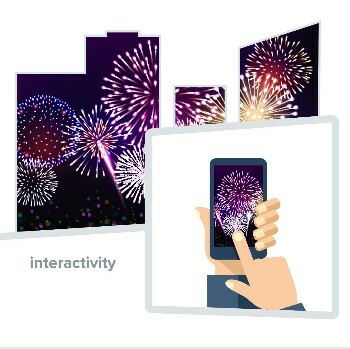 Develop apps that allow people to interact with your media facade, generating tribes, recognition, and additional footfall around your building. 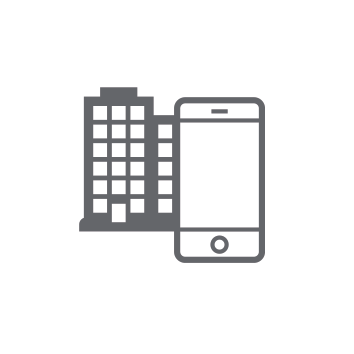 Integrate with the smart city to display emergency information, weather forecasts, locations for empty parking spaces, news bulletins, and travel information. Generate revenue by creating branded applications such as clocks that can be sponsored by international watch brands. The directors of Myungbo Art Hall in Seoul wanted a way to reach into the community with their artwork. The hall itself was a rather bland piece of 80s’ architecture. 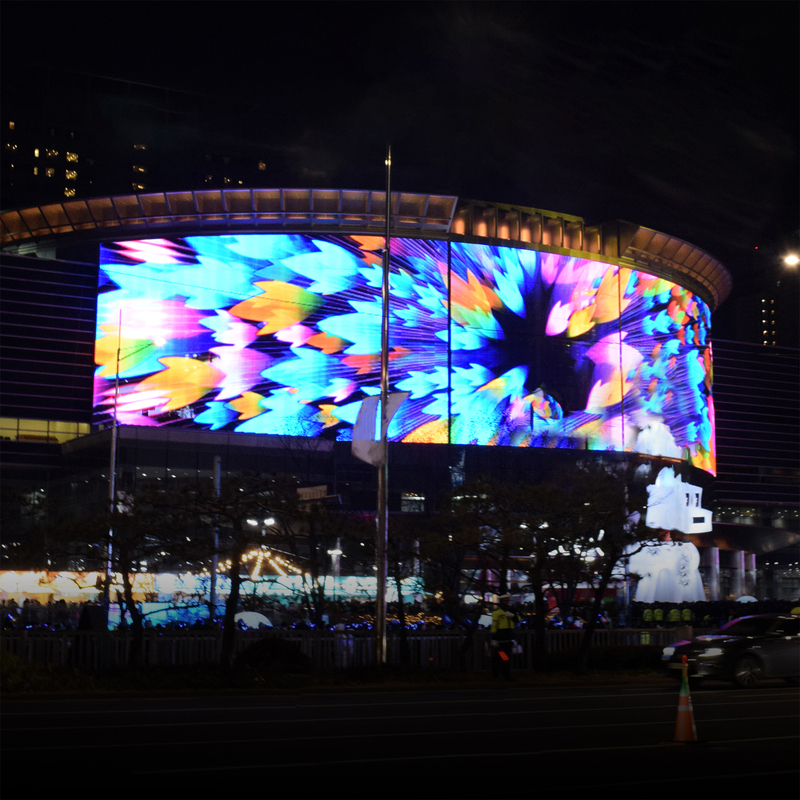 When our glass replaced their old facade, Myungbo suddenly lit up with light and magic. 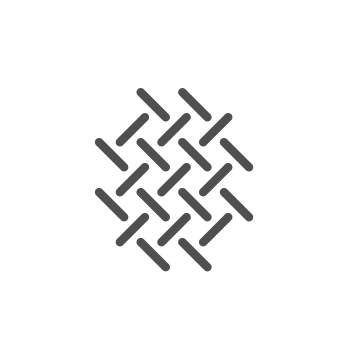 Not only could they project their identity out into the community, but they also provided unique opportunities. People could interact with their art with joy and enthusiasm. G-SMATT gave them an amazing canvas on which to paint. How they interact with people is now limited only by their imagination.